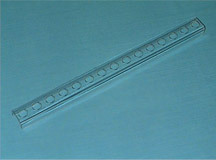 Placeteco inc. — Placeteco is also a custom plastic molding manufacturer. Submit us your project! Placeteco, founded in 1988, initially served clients in the maritime and transport industries. It manufactured thermoformed parts for boat instrument panels and polyurethane injected parts for public transportation vehicles and recreational boats. 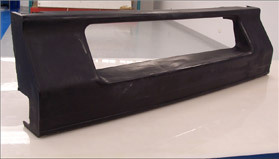 Due to its growing expertise in thermoforming, during the early 1990s Placeteco was mandated by Bombardier Aerospace to develop cockpit components for their Challenger and Regional Jets (Canadair). 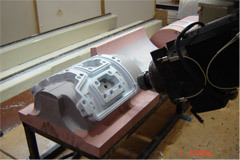 This was a turning point in Placeteco’s activities and development and led to the developing of expertise in the moulding of silicone and acrylic parts and the manufacturing of composite pieces. 1993: Placeteco was selected by Bell Helicopter to manufacture the interior components for the majority of its helicopters. Placeteco became the supplier of a variety of components used in the Bell Helicopter models 206, 212, 222, and 230. This was followed by the contract to supply parts for the 407, 430, and 427 models. 1997: Placeteco moves to a new and larger location (52,000 square feet / 4,830 square meters). 2001: Placeteco renovates and enlarges its Clean Room (for manufacturing composite components) in response to the increasing requirements of its clients. 2006: Placeteco obtains the mandate to design and manufacture all the interior components for the Bell Helicopter model 429. 2007: Placeteco obtains the mandate to design and manufacture «Glareshield» (a composite component) for Bombardier aircraft. To conceive, develop, and manufacture high quality components that meet or exceed the technical and developmental standards of our clients.